Freshly baked bread. It warms the soul. 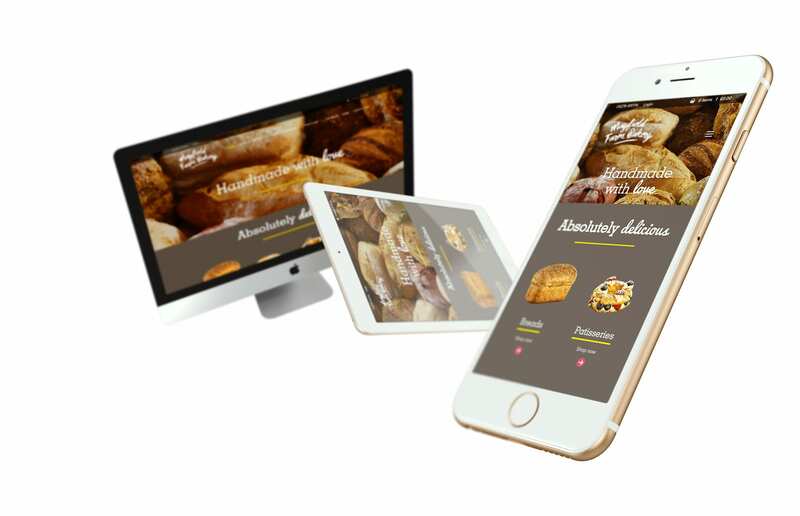 So when artisan bread geniuses Mayfield Farm Bakery approached us to help with their brand and website we jumped at the chance. Forged from the infectious baking passion of founder Nick Anderson, the ovens have be busy for over 30 years. His aim is to provide tasty breads and pastries that are made by loving hands with good natural ingredients. His passion extends to running evening baking courses, for those who share his love for the art. Nick knew exactly what his customers desired and needed, but was unsure how to get his message out. The business model is successful, the idea good but they needed a shop window for customers that reflected this. We enrolled on Nick’s baking course to absorb some of that passion for baking. Using chocolate croissants as currency we asked customers to talk to us about their experiences at Mayfield. It didn’t take long for us to discover that customers would be disappointed when arriving at the bakery only to find their favourite items sold out. It was vital that Mayfield updated the brand identity, website and content for SEO. Equally it was important that they encourage additional spend and affect customers buying habits. We realised a simple website refresh would not be enough to meet the needs of the business strategy. We had to expand the boundaries of the project and demonstrate to Mayfield, the value of creating a joined up customer experience. In a ‘roll’ reversal we invited Nick and his team to one our workshops. We explained it was related to the website. But unknown to him the workshop was focused around brand and customer experience. We staged mock scenarios which helped us demonstrate how some customers felt and behaved. By (almost literally) putting the team in the shoes of their customers we helped them truly understand the Mayfield experience which in-turn helped us demonstrate the value of their brand. We gathered our findings into a proposal that would realistically meet the needs their business. By inspiring the Mayfield team, it allowed them to look at the business with fresh eyes and wholeheartedly support any change. 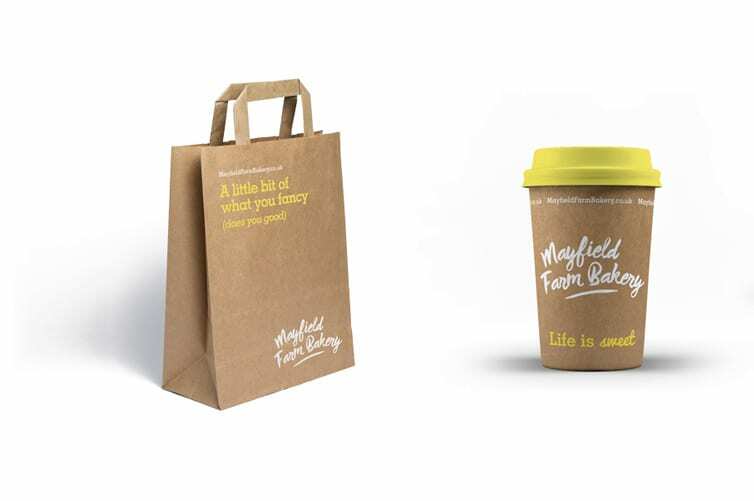 From our time with Nick and the Mayfield team, we quickly came to realise their strong connection with traditional artisan baking and the skills needed to bake pure perfection. We helped them manifests this philosophy as – ‘handmade with love’. In a ‘roll’ reversal we invited Nick and his team to one our workshops. We explained it was related to the website. But unknown to him the workshop was focused around brand and customer experience. We staged mock scenarios which helped us demonstrate how some customers felt and behaved. By (almost literally) putting the team in the shoes of their customers we helped them truly understand the Mayfield experience which in-turn helped us demonstrate the value of their brand. We gathered our findings into a proposal that would realistically meet the needs their business. By inspiring the Mayfield team, it allowed them to look at the business with fresh eyes and wholeheartedly support any change. From our time with Nick and the Mayfield team, we quickly came to realise their strong connection with traditional artisan baking and the skills needed to bake pure perfection. We helped them manifest this philosophy as – ‘handmade with love’. To reflect this philosophy and approach within the branding we created a new identity that started with a unique and personal hand-drawn logo. We combined with earthy and real photography to help tell their brand story. The website had to work harder too, providing additional revenue opportunities while maintaining the brand values. Based on what we learned from Mayfield’s customers, we created a full e-commerce website and a new ‘next day’ order and collection service. We increased efficiency further by integrating our custom Product Information Management (PIM) system to control of their website and manage their entire bakery product inventory accurately. The simple to use system allowed Mayfield the flexibility to change product availability to suit customer buying habits and needs.